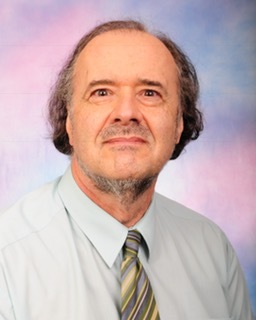 Michael C. Joiner, professor in the division of radiation oncology at the Barbara Ann Karmanos Cancer Institute and Wayne State University School of Medicine (WSU SOM), will be honored by the Brussels-based European Society for Radiotherapy and Oncology (ESTRO) with the 2018 ESTRO Lifetime Achievement Award next April in Barcelona. Joiner, a West Bloomfield resident, is the first American to be presented with the award since it was established in 2007. Along with Joiner, four other doctors from various European countries will also receive the award. Joiner teaches clinical residents and medical physicists who go through the residency programs at WSU. He also teaches radiation oncologists in training around the world in locations including Paris, Russia, and Australia. He has taught the basics of clinical radiobiology to more than 6,000 students globally for almost 30 years. Joiner has continually taught ESTRO classes since 1990. He began teaching at WSU in 2001 and gained tenured professorship in 2002. The Lifetime Achievement Award is presented to an ESTRO member who is nearing the end of his or her active career and has contributed “tremendously” to ESTRO activities, according to ESTRO officials. Joiner attended Queens’ College, Cambridge University where he received both his bachelor’s and master’s degrees in experimental physics. He received his Ph.D. at the Institute of Cancer Research at the University of London. Joiner is a dual citizen in America and England, where he was born. Joiner is the editor of the textbook “Basic Clinical Radiobiology,” which is now in its fourth edition, with a fifth edition to come. He is also the recipient of funding from the National Institutes of Health to develop an education program that promotes science careers specializing in the application of radiobiology to the clinical practice of radiation oncology. A colleague of Joiner’s for 15 years, Jay Burmeister, chief of physics at Karmanos and professor in the department of oncology at WSU SOM, describes him as an “incredible asset” as one of the most recognizable radiobiologists in the world, providing clinical advice, and teaching WSU’s graduate students and residents.